The physicians and physician advisors of the Cancer Center of Hawaii are a diverse, multi-faceted team with a broad range of capabilities and expertise. We collaborate daily in pursuit of innovative ways to cure cancer. Enthusiastic and passionate, we rise to every challenge presented with a personal commitment to do what is best for every individual. Our cancer care team practices excellent communication — keeping referring physicians, patients and family in the loop — abiding by the philosophy that we are stronger together. Facing cancer can be a scary ordeal, but with a team of compassionate, cancer fighting experts in your corner, you never have to go it alone. Every day, we strive for perfection in getting good results from our treatments, with extensive checklists to ensure we meet the highest standards of care. United in the fight, the Cancer Center of Hawaii cancer treatment team will always do what is right, and what is best, for the patient. Dr. John Lederer has a passion for doing things worthwhile, which is why he chose to become a radiation oncologist. It is a profession where he can help cancer patients live longer and maintain quality of life. He founded the Cancer Center of Hawaii so that he could build a physician-run business that would do everything to take care of patients the best way possible. He operates with a purpose to do what is best for patients, and all of his decisions — and the organization’s decisions — are based on this philosophy. Dr. Lederer has a history of innovation in caring for children and adults with cancer in Hawaii. Chosen as one of HONOLULU Magazine’s Best Doctors, Dr. Lederer’s experience includes faculty positions at the University of Utah and The Baylor College of Medicine as well as serving as the head of the Queen’s Medical Center Cancer Committee and the Queen’s Radiation Therapy Department for nearly 10 years. He also served as President for Island Radiation Oncology and Senior VP of AmMed Cancer Center in Hong Kong. He is certified as a Diplomat by the American Board of Internal Medicine and was named in “Best Radiation Oncologists in the United States for Breast Cancer” by Ladies Home Journal and “Outstanding Physician of the Year” by Queen’s Medical Center. 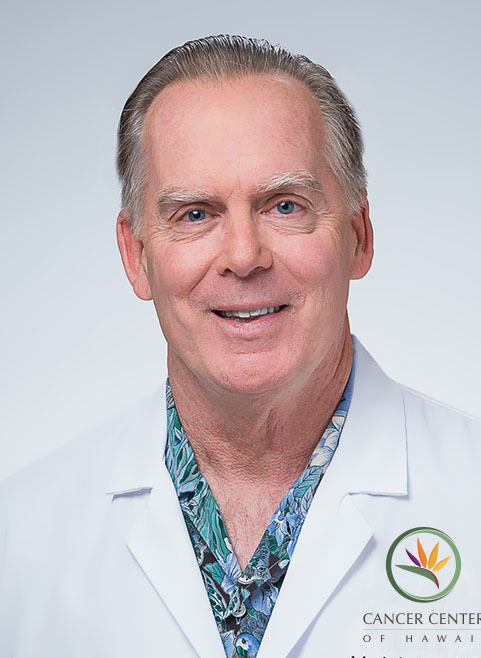 Dr. Lederer brought the permanent seed implant program to Hawaii, an advanced treatment that implants tiny radioactive particles into the site of a tumor for high dose, low impact therapy. He also instituted other programs, only available in Hawaii at the Cancer Center of Hawaii, that shorten treatment time for breast and prostate cancer with more direct doses. Dr. Lederer doesn’t just care for his patients; he cares for the community. He continues to dedicate his time to leadership roles with the Ronald McDonald House and the Hawaii Children’s Cancer Foundation. 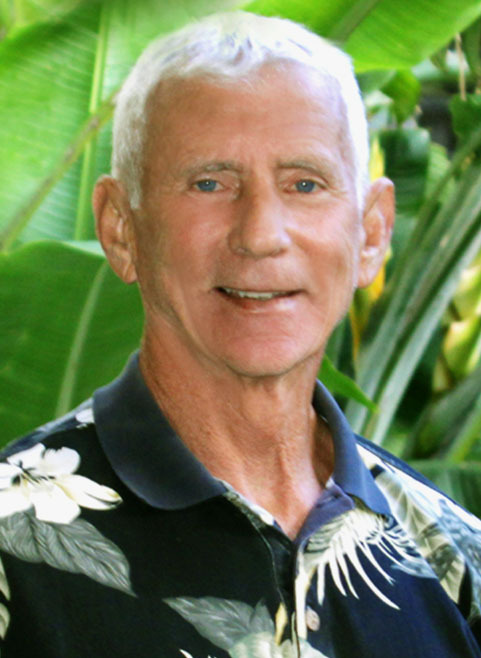 Dr. Lederer keeps healthy with spinning, weightlifting, marathons, cardio exercise and stand-up paddling. Prostate brachytherapy for Japanese prostate cancer patients in Hawaii. Evaluation of pubic arch interference for prostate brachytherapy. Memoterm theme-expandable stent for placement for the treatment of post brachytherapy urinary retention. Treatment outcome of prostate brachytherapy for the patients with high-risk group. PSA bounce phenomenon after transperineal prostate brachytherapy. Biochemical evaluation after permanent prostate brachytherapy. Transperineal interstitial permanent prostate brachytherapy for Japanese prostate cancer patients in Hawaii. 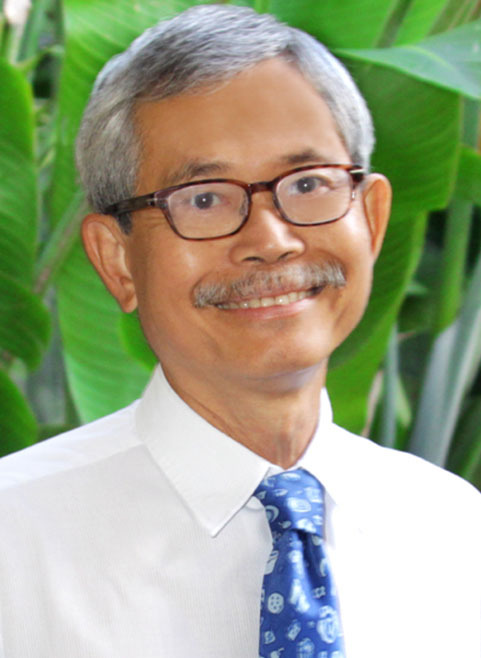 Laeton J. Pang, M.D., M.P.H. Dr. Laeton Pang was born in Hawaii, and from an early age wanted to become a doctor. He became a radiation oncologist to focus on curing cancer patients. Dr. Pang strives for perfection in his practice and is always working for better outcomes. He joined the Cancer Center of Hawaii because he wanted to be part of a team that will take care of patients in the best way possible. He enjoys the opportunity at the Cancer Center of Hawaii to be forward-thinking and stay on the leading edge of treatments and technology in order to offer the best options to patients. In caring for cancer patients, he takes care of each individual at the moment, and works to help patients maintain their dignity and courage through their difficult experience in fighting cancer. 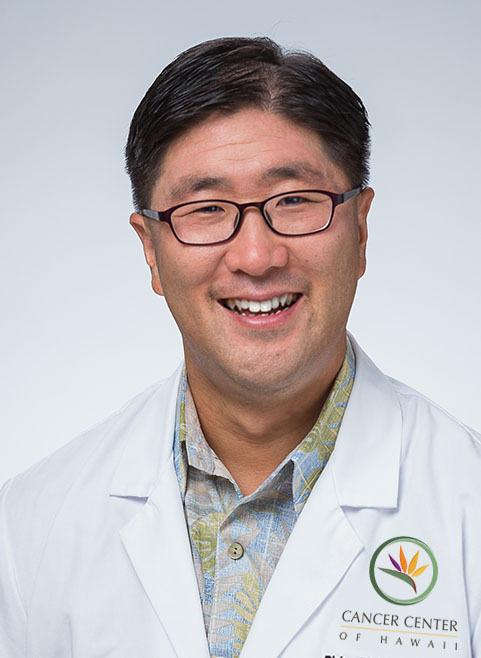 As a leader in Hawaii’s oncology professional community, Dr. Pang is a founding member of the Hawaii Society of Clinical Oncology, a clinical instructor for the John A. Burns School of Medicine, and serves as the radiation oncology representative to the Hawaii Medicare Carrier Advisory Committee. He is a graduate of Iolani School, University of Hawaii-Manoa, Tulane University Schools of Medicine and Public Health and earned his residency at the University of Virginia Health Sciences Center. Board-certified in Radiation Oncology, Dr. Pang holds dual fellowships in the American College of Radiation Oncology (ACRO) and American College of Radiology (ACR). 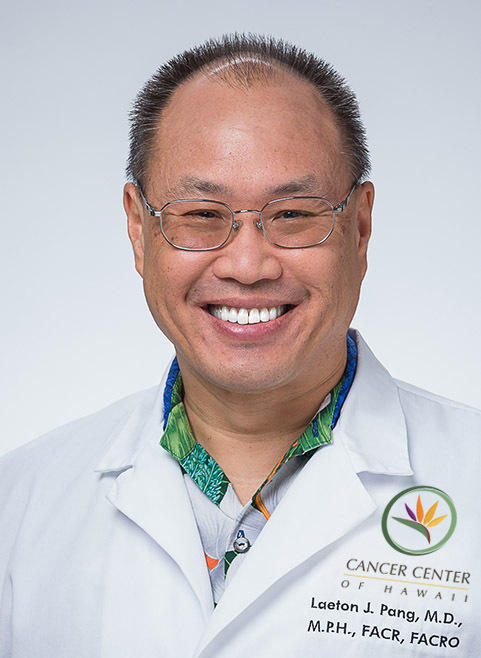 Dr. Pang served as President for the Hawaii Society of Clinical Oncology, Board Member for the American Cancer Society, Medical Director for Leeward Radiation Oncology and Vice-Chairman of the Cancer Institute. Dr. Pang believes that his job is his calling and he lives and breathes advocacy for cancer patients and improvement of cancer care for Hawaii and the world. Richard Y. Lee, M.D., Ph.D.
Dr. Richard Lee started his professional career conducting research in physiology, biochemistry, biophysics and breast cancer. He was interested in radiation oncology because he wanted to pursue medical work that would be connected to technology and physics. He joined the Cancer Center of Hawaii because it was a place that mirrored his values of always doing what is right for patients. He focuses on providing the latest treatments, technologies and improvements to advance cancer care for people in Hawaii. Dr. Lee is a talented and knowledgeable radiation oncologist who has spent nearly two decades studying and practicing the treatment of cancer at Georgetown University, Virginia Commonwealth University and the University at Buffalo, SUNY. After gaining his M.D. and Ph.D. in physiology and biophysics, Dr. Lee served his residency at the first dedicated medical facility for cancer treatment and research in the U.S., the Roswell Park Cancer Institute. He served as Chief Resident in Radiation Medicine at Roswell, and received the Particle Theory Co-Operative Group Fellow Award in 2012. Since 2010, Dr. Lee has also been a reviewer for the Journal of Gastrointestinal Oncology and he is currently a Member of the American Society for Radiation Oncology (ASTRO). When he’s not fighting cancer, Dr. Lee enjoys playing tennis, golf and practicing the violin. Proton therapy may allow for comprehensive elective nodal coverage for patients receiving neoadjuvant radiotherapy for localized pancreatic head cancers. Lee, R.Y., Nichols, R.C., Mendenhall, W.M., Huh, S.N., Ho, M.W., Li, Z., Hoppe, B.S., Ahmed, B., Zaiden, R. J Gastrointest Oncol, In Press.Aortal-esophageal Fistula: rare fatal case caused by esophageal malignancy. Lee, R.Y., Flaherty, L., Khushalani, N.I., Kanehira, K. Nwogu, C., Yendamuri, S., Nava, H.R., Yang, G.Y. J Gastrointest Oncol 1(1): 64-67, 2010.Gene Signaling Pathways Mediating the Opposite Effects of Prepubertal Low-Fat and High-Fat n-3 Polyunsaturated Fatty Acid Diets on Mammary Cancer Risk. Olivo-Marston, S.E., Zhu, Y, Lee, R.Y., Cabanes, A., Khan, G., Zwart, A., Wang, Y., Clarke, R., and Hilakivi-Clarke, L. Cancer Prev Res. 2008 Dec; 1(7): 532-545.Estrogen Receptor Alpha (ER) Positive Breast Tumors and Breast Cancer Cell Lines Share Similarities in their Transcriptome Data Structures. Zhu, Y., Wang, A., Liu, M.C. Zwart, A., Lee, R.Y., Gallagher, A., Wang, Y., Miller,W.R., Dixon, J.M., Clarke, R. Int.J.Oncol. 2006 Dec; 29(6) : 1581-1589.Evaluation of gene expression profile of keratinocytes in response to JP-8 jet fuel. Espinoza L.A., Li P., Lee R.Y., Wang Y., Boulares A.H., Clarke R., Smulson ME. Toxicol Appl Pharmacol. 2004 Oct 15;200(2):93-102Discriminatory Mining of Gene Expression Microarray Data. Wang, Z., Zhang, J., Lu, J., Lee, R., Kung, S.Y., Clarke, R., & Wang, Y. The Journal of VLSI Signal Processing: 35(3), 255-272, November 2003.Antiestrogen resistance in breast cancer and the role of estrogen receptor signaling. Clarke,R., Liu,M., Bouker,K.B., Gu,Z., Lee,R.Y., Zhu,Y., Skaar,T.C., Gomez,B., O’Brien,K.A., Wang,Y., & Hilakivi- Clarke,L.A. Oncogene: 2003 Oct 20;22(47):7316-39.Association of interferon regulatory factor-1, nucleophosmin, nuclear factor kappa-Band cAMP response element binding with acquired resistance to Faslodex (ICI 182,780). Gu, Z., Lee, R.Y., Skaar, T.C., Bouker, K.B., Welch, J.N., Lu, J., Liu, A., Davis, N., Leonessa, F., Brünner, N., Wang, Y. & Clarke, R. Cancer Research: 62(12), Jun 15, 2002.Development and Validation of a Method for Using Breast Core Needle Biopsies for Gene Expression Microarray Analyses. Ellis, M., Davis, N., Coop, A., Liu, M., Schumaker, L., Lee, R.Y., Lu, J., Russell, C., Singh, B., Miller, W.R., Stearns, V., Pennanen, M., Tsangaris, T., Gallagher, A., Liu, A., Zwart, A., Hayes, D.F., Lippman, M.E., Wang, Y., & Clarke, R. Clinical Cancer Research. Vol. 8, p.1155-1166, May 2002.Iterative normalization of cDNA microarray data. Wang, Y., Lu, J., Lee, R.Y., Gu, Z., & Clarke, R. IEEE Trans.Inf.Technol.Biomed., 6: 29-37, 2002. Constituitive expression of steroid sulfatase gene supports the growth of MCF-7 human breast cancer cells in vitro and in vivo. James, M.R., Skaar, T.C., Lee, R.Y., & Clarke, R. Endocrinology. April 2001.Vol. 142, No.4: 1497-1505. Molecular and Pharmacological Aspects of Antiestrogen Resistance. Clarke, R., Skaar, T.C., Bouker, K.B., Davis, N., Lee, R.Y., Welch, J.N., Leonessa, F. The Journal of Steroid Biochemistry & Molecular Biology. December 2000, Volume 75:1-6. 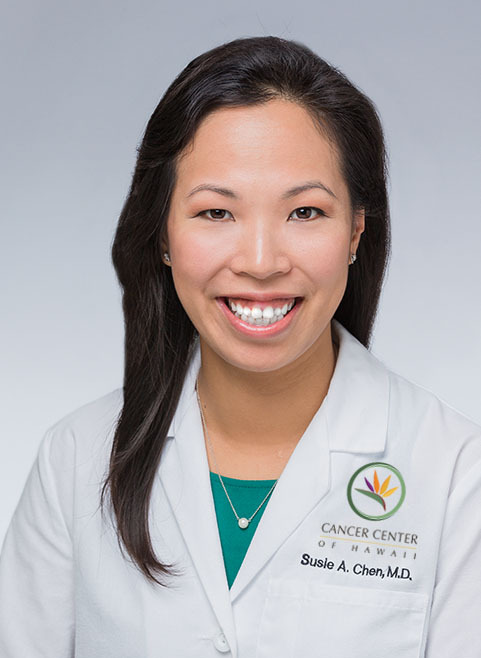 Dr. Susie Chen realized that she wanted to become a radiation oncologist when her mother survived breast cancer. She was inspired by what a difference can be made with patients using modern treatments and technologies. She joined the Cancer Center of Hawaii because the entire team, from receptionists to the therapists and doctors, all treated patients and each other like family. She also aligned with the organizations vision to do what is right and what is best for patients to focus on curing cancer. She works to provide the latest cutting-edge technologies and treatments to patients so that they have the best options available. Dr. Chen completed her residency training at Emory University in Atlanta after serving as Chief Resident in Radiation Oncology. She joined University of Texas Southwestern as an Assistant Professor of Radiation Oncology, where she obtained her board certification in 2013. 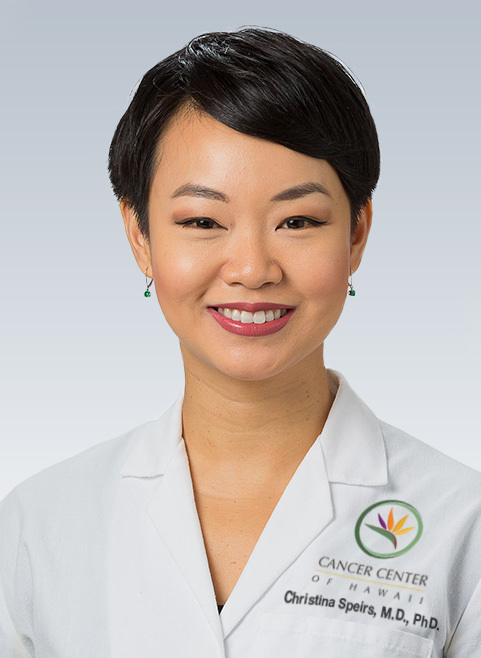 Dr. Chen holds memberships in the American Association of Women Radiologists, the American Brachytherapy Society, the American Society of Clinical Oncology and the American Society of Therapeutic Radiology and Oncology. She has extensive training in a variety of radiotherapy types, including Low Dose Rate and High Dose Rate Brachytherapy, Nongynecologic Brachytherapy, Orthovoltage Therapy, Electron Therapy, Conventional Simulation and 4D CT Simulation. Dr. Chen enjoys yoga, running and exercising to keep herself healthy. She believes that anyone can do what they want, when they put their mind to it. Chu I, Blackwell K, Chen SA, Slingerland J. The dual ErbB1/ErbB2 inhibitor, lapatinib (GW572016), cooperates with tamoxifen to inhibit both cell proliferation- and estrogen-dependent gene expression in antiestrogen-resistant breast cancer. Cancer Research. 2005 Jan 1; 65(1):18-25.Chen SA, Morris CG, Amdur RJ, Werning JW, Villaret DB, Mendenhall WM. Adult head and neck soft tissue sarcomas. American Journal Clinical Oncology. 2005 Jun; 28(3):259-63.Sundaram N, Chen SA, Barron B, Aarsvold J, Aiken A. American Board of Radiology Web-based modules on Professionalism and Ethics. www.theabr.org Manuscript accepted March 9, 2011.Chen SA, Muller S, Chen AY, Hudgins PA, Shin DM, Khuri F, Saba NF, Beitler JJ. Patterns of Extralaryngeal Spread of Laryngeal Cancer: Thyroid Cartilage Penetration Occus in a Minority of Patients with Extralaryngeal Spread of Laryngeal Squamous Cell Cancers. Cancer Vol. 15. No. 117 pp. 5047-5051 2011.Chen SA, Wang H, Ng WL, Curran WJ, Wang Y. Radiosensitizing effects of Ectopic miR-101 on Nonsmall Cell Lung Cancer Cells Depend on the Endogenous miR-101 Levels. Int. J. Radiation Oncology Biol. Phys. Vol 81, No. 5, pp.1524-1529 2011.Chen SA, Gatcombe HG, Qayed M, Katzenstein HM, Olson T, Rapkin L, George B, Esiashvili N. Pediatric Nasopharyngeal Carcinoma Treated with Intensity-modulated Radiation Therapy, Chemotherapy and Amifoxtine: Clinical Outcomes and Toxicity. Manuscript in submission to Radiotherapy and Oncology.Chen SA, Schuster DM, Mister D, Liu T, Godette K, Torres MA. Radiation field design and patterns of locoregional recurrence following definitive radiotherapy for breast cancer. Int J Radiation Oncology Biol. Phys. 2013 Feb 1; 85(2):309-14.Chen SA, Ogunleye TB, Dhabbaan A, Huang EH, Losken A, Gabram S, Davis L, Torres MA. The Impact of Internal Metallic Ports within Temporary Tissue Expanders on Postmastectomy Radiation Dose Distribution. Int J Radiation Oncology Biol. Phys. 2013 Mar 1; 85(3):630-5.Chen SA, Hiley C, Nickleach D, Petsuksiri J, Andic F, Riesterer O, Switchenko JM, Torres MA. Breast reconstruction and post-mastectomy radiation practice. Radiat Oncol. 2013 Mar 2; 8:45. Born in Honolulu, Hawaii, Dr. Christina Speirs had her sights set on healing people from a young age. With a makeshift first-aid kit, she would doctor her siblings’ skinned knees, and as a teenager dreamed of traveling the world as a CDC physician helping halt Ebola outbreaks. She delighted in the enigmatic and romantic qualities of basic science, but it was her contact with patients during her time as a candy striper, and the privilege of sharing their stories, that sealed the deal for her career as a physician. Dr. Speirs believes that cancer patients deserve the most advanced care their money can buy, along with a team that helps and guides them through the tricky terrain of cancer treatment. During the interview process with TCCOH, she was immediately moved by the compassion and warmth of the team. She made the decision to join TCCOH thanks to a special kind of leadership present at the facility, and her colleagues’ visible passion and energy for treating cancer patients. She considers it a tremendous honor to return to take care of the people in her hometown. In her daily efforts, Dr. Speirs strives to apply radiation therapy as both a technique and an art form by refining the balance between destroying cancer cells and minimizing treatment toxicity, all while holding the patient’s quality of life and values in the highest regard. She enjoys building relationships with her patients throughout their disease course and uses a comprehensive approach that is centered on counseling to guide them through each stage of their disease, whether or not radiation is recommended. With several family members who have faced cancer challenges, she has a very personal understanding of the effects of the disease and a true compassion for the victims and their loved ones. One of her primary goals is to ensure her patients feel connected to her and the team, and to help them to understand they are not alone in their fight. Dr. Speirs is the recipient of numerous grants and honors, including the ABR Holman Research Pathway Award in 2012, and holds ongoing memberships with Radiological Society of North America (RSNA), American Society of Clinical Oncology (ASCO) and American Society for Radiation Oncology (ASTRO). She is proficient in many advanced clinical techniques, including Electron Therapy, EyePlaque Brachytherapy, Gamma Knife Radiosurgery, Image Guided Radiation Therapy, Stereotactic Body Radiation and Total Body Irradiation. In addition to working hard to improve quality of life for her patients, Dr. Speirs loves cooking, traveling, reading, spending time with family and listening to music. 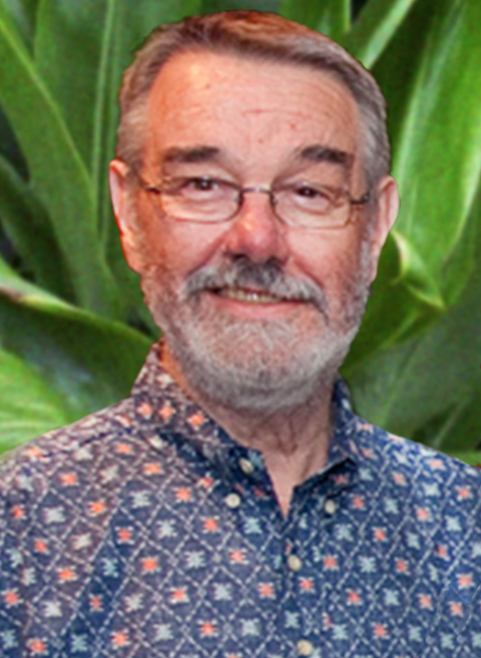 Dr. Vincent Brown has been practicing Radiation Oncology since 1977 in Honolulu.